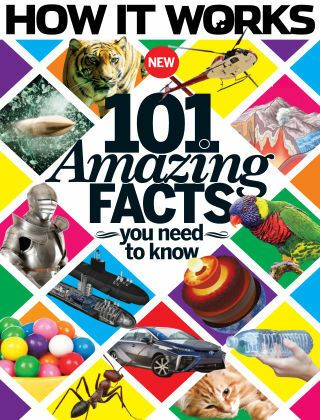 With Readly you can read How It Works Book Of 101 Amazing Facts You Need To Know and thousands of other magazines on your tablet and smartphone. Get access to all with just one subscription. New releases and back issues – all included. What causes earthquakes? Why is Magna Carta so important? Why do we love chocolate? What is the V1 star? For the answers to these questions and many more, look no further than this new collection of conundrums and curiosities from six subject areas. Covering the environment, technology, science, space, transport and history, each section is packed with amazing facts to satisfy even the hungriest of minds. Featuring: Environment - How bottles are recycled, how wind erosion works, how flying fish fly and more. Science - How suntans develop, how calories are counted, how fluoride works and more. Space - What space volcanoes are, why stars twinkle, how planet names are chosen and more. History - The importance of Magna Carta, what life was like in Ancient Egypt, why gold is so valuable and more.